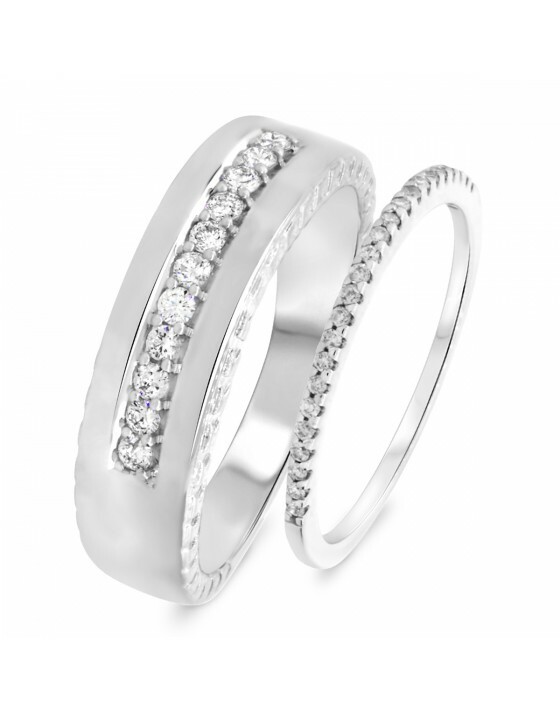 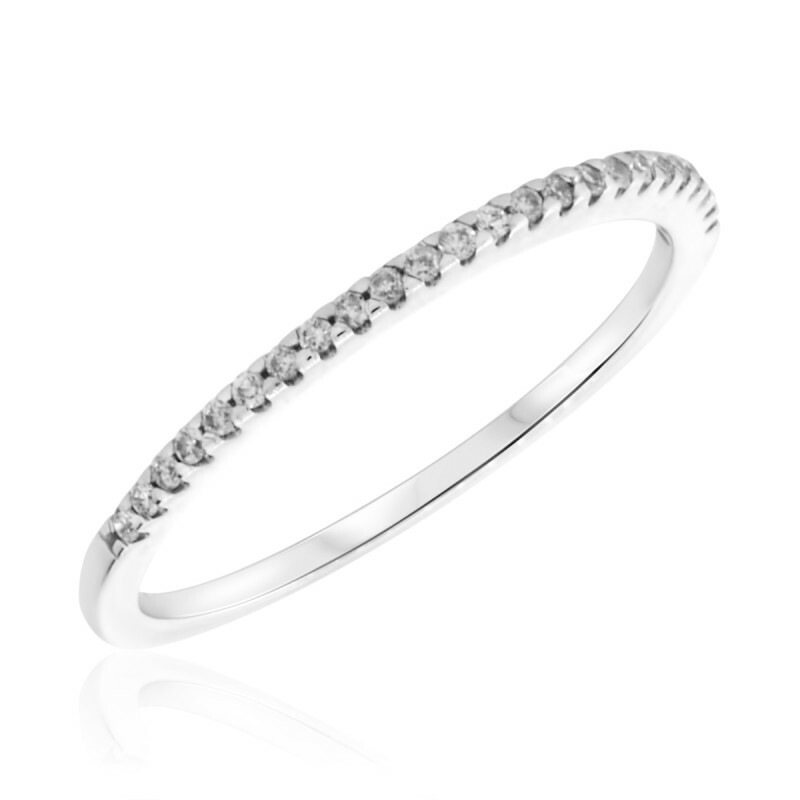 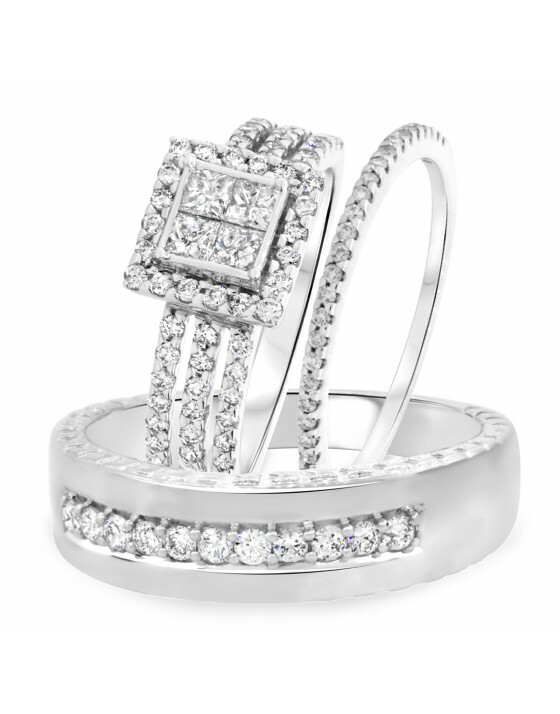 The single row of round diamonds in prongs takes up the whole width of this band for a stunning display. 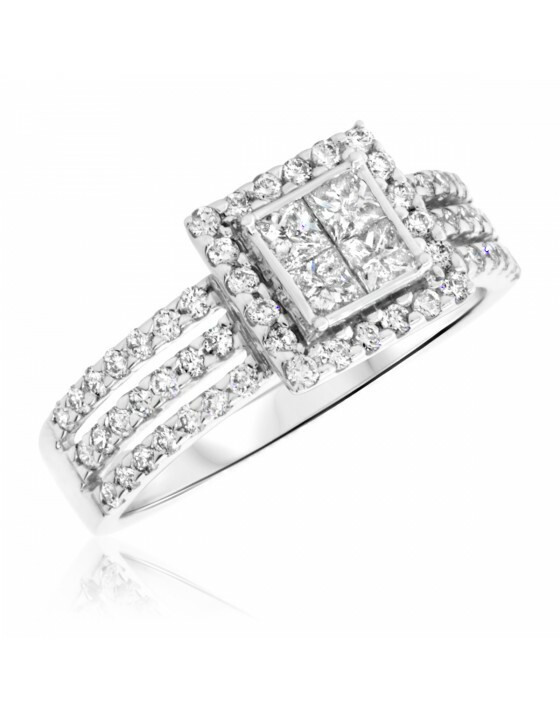 Pair this ring with the engagement band in the set to complete the symbol of your love and commitment. 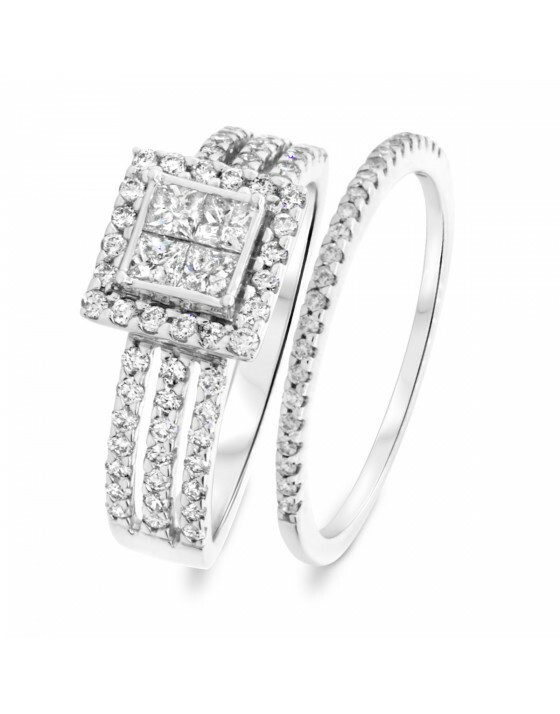 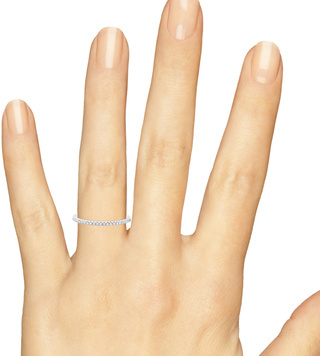 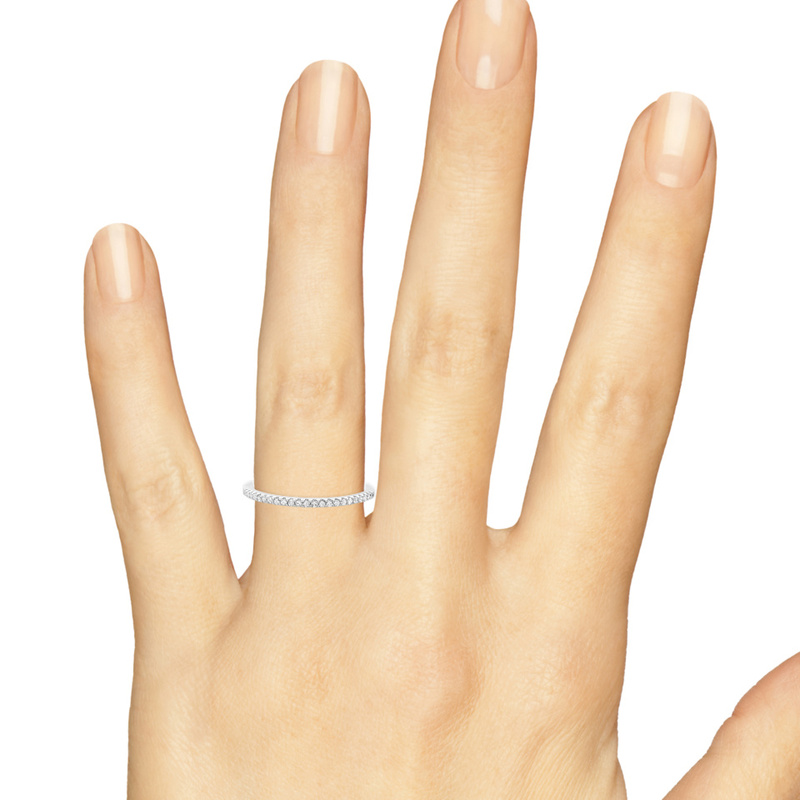 This band adds another row of diamonds to the engagement band, seamlessly matching the style.